Now, I’m possibly not the best person to be chatting about sewing room organisation and storage! One glance into my currently messy sewing room and you’d get it! My organisation skills are chaotic, simplistically naive and (perhaps) a little non-existent! While my storage areas are overflowing, out of order and oddly colour-coded! However, I think there are a few things here and there that I can share and inspire you with! And I’ve also been researching on how one or two other quilters have organised and stored things which I’ll share with you as well! You may’ve caught me mentioning in my recent Sewing Room Tour video that I love to use tins to store and organise lots of stuff! From pins to threads to hexies to notions. Pretty decorative tins are everywhere and I love it! I’ve been lucky in the fact that my Dad is a keen collector of Arnott’s Biscuits tins as he worked for them for nearly 30 years! So very happily we have lots to spare so that I can store all of my sewing knick-knacks in them! I’ve also sourced a lot of my smaller tins online from little indie companies such as Belle & Boo, Emma Bridgewater and Lark. A little while ago I purchased this hard-plastic type drawer from Spotlight made especially for storing fat quarters. It’s about 50cm (20″) long and can hold well up to 20-30 FQs. I’ve found it so handy to quickly place new FQs into it and then be able to pull the draw out and easily rummage through what’s in there. I’m quite boring when it comes to organising and storing my fabrics. I don’t really have any fancy folding or hanging system. I have a main bookshelf next to my sewing table that has all of my favourite or most used fabrics in a very relaxed colour-coded system: Whites, creams, yellows, browns and oranges on the top shelf, pinks and reds on the next two shelves, green and blue hues on the two after that and then right down the bottom I have my purples, greys and blacks. The majority of these fabrics are all half-metre (or half-yard) pieces or less. I tend to store all of my larger cuts of fabrics in the plastic containers I have under my sewing table. They’re quite easy to slide out and to have a quick little rummage through when I need to. These aren’t colour or range coordinated. Just folded up nicely and stacked one on top of the other. Another YouTube video I found that was all about sewing room organisation was this one by Stephanie De Pasquale Soebbing from Quilt Addicts Anonymous. I found that she had a fab idea for storing your ironing board, jelly rolls and pre-cuts as well as another neat and lovely way to store and organise fabrics. I tend to try and keep all of the tools I’ll need when cutting and sewing dotted around my cutting mat as this is like my central space in my sewing room. So here I have my rotary blades and quilting rulers close to hand along with my pins, thread snips, lead pencils, essential paper-piecing tools as well as threads and binding clips. These items are either stored in glass jars, pretty tins or placed in an easy to reach spot on my pink IKEA shelf. So as I sit here and look around at all of the different areas in my sewing room, there are still so many little things to do with the way I store and organise stuff that I could share with you… Like the way I’ve organised all of my craft stickers and die-cuts, to how and where I have my coat-hangers ready to hang a finished block or quilt, to the way I organise and store all of my patterns and paper-trail as well as the way I’ve organised my books based on how much I love them! But unfortunately, I just don’t have the time to get into every nook and cranny that cleverly hides away a WIP or stray crafting notion! Today I just wanted to stick to the major areas that most people tend to struggle on finding a solution for… I hope I’ve helped in some little way! 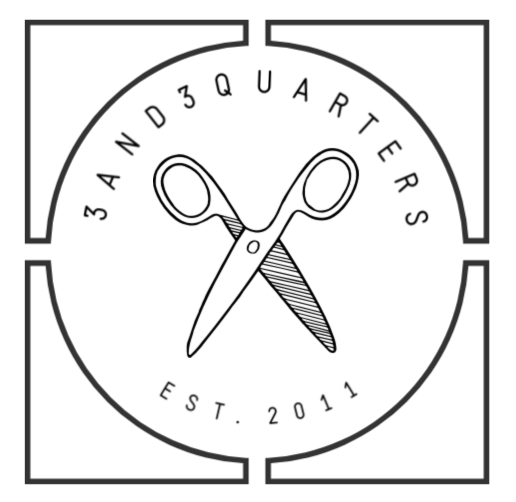 Though in honesty, all of us quilters have our own unique way on how we like to organise our sewing spaces and store all of our wonderful fabrics and notions. I don’t think anyway is the wrong way. As long as whatever system you use works for you and the limits of your sewing room than that’s all that matters! Have you got any fab ideas on how you organise or store things in your sewing room? Feel free to share it with us in the comments section below! Previous PostMay 10th: My Sewing Space Set Up Next PostMay 12th: My Sewing Room Playlist! Excellent ideas! Love that video from Melanie, I’ve been wanting to get some of those comic book boards but could never find them! Thank you Amanda! !